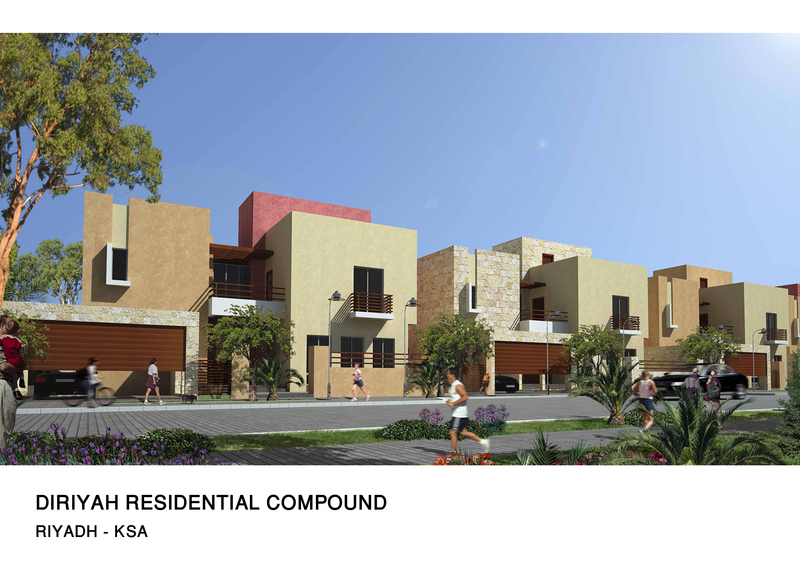 The planning concept of this multi-use complex was based on having a central public zone and three main residential zones each with an allocated spacial theme. The Central Zone forms what could be imagined as a town center were commercial activity, a mosque and other public buildings are located. In all zones, care was taken in establishing the proper scale of the urban space in relation to the building density. 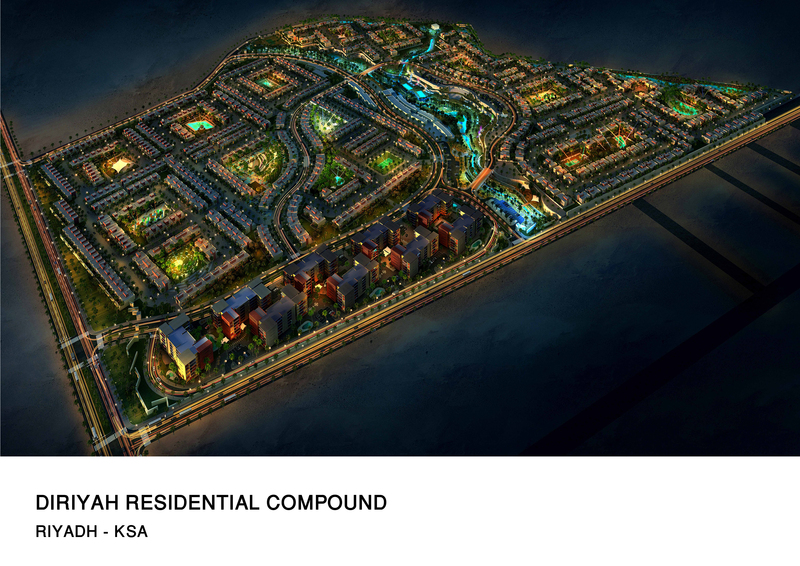 The themes of the three residential zones were the Wadi, the Oasis and the City. Here the diversified thematic landscape plays a major role enriching the quality and vitality of the public space. The strategic location and the architecture of the Conference Center and the Hotel, contribute to determine the fine caliber of this multi-use complex.